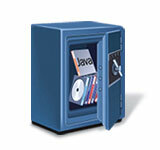 It is very important to protect any boxed application from unauthorized use and copying. Our company offers a powerful solution to meet this goal. Protection! is a Licensing Toolkit that can be embedded into custom applications or components only allowing the permitted use according to the supplied license. Quick and easy embedding into custom application with ability to get full control of license reading and validation. Ability to specify a set of application features permitted to use according to the license. Ability to control number of simultaneously running copies of the application with the same license. Ability to embed license into the application to allow CD distribution of trial versions. Ability to discover patched application parts. Powerful Control Center application to allow easy maintenance of products and licenses. myPhoneDesktop provides an easy and effective way to work with your iPad, iPhone or iPod touch directly from your desktop. Whether you need to make a phone call, send a long SMS, copy a large amount of text, send a long and complicated to retype URL, open route in mobile Google Map, or store an image on your iPad or iPhone, myPhoneDesktop greatly streamlines your workflow. myPhoneDesktop makes your iPhone an extension of your desktop by making them work seamlessly together. If you can copy it, you can send it to the iPhone. Using the comfort of your Mac or PC full keyboard, you can send SMS messages, notes, or anything you can type. And in moments, it will be on your iPhone, iPad or iPod touch. Templates make InstaTodo special! InstaTodo adds customized Template to sophisticated to-do list to save time and make life easier. Reusable Templates help you easily create task or to-do list knowing that no critical steps have been forgotten. There's no need to reinvent the wheel each time you pack a suitcase for a business trip, or go to the grocery store to buy supplies for your annual family BBQ. InstaTodo is the only to-do list manager for the iPhone and iPod touch that lets you create time-saving custom Templates for all of your to-do list needs. jLiveID is a FREE library provides essential API to allow access to the Windows Live ID service from within Java applications. Preparing SOAP request according to supplied arguments and calling Live ID Web Service. Analyzing SOAP response to obtain major properties of SecurityToken. Analyzing SOAP fault to obtain error details and compose detailed error message. 100% Java implementation. No native libraries required. Not Just Another IDE Enhancement! One of the key factors of successful development is the usage of the proper tools. 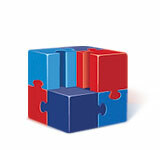 Borland JBuilder is one of the best tools for Java development available today. While it provides a comprehensive set of tools oriented for enterprise Java development, it still lacks many important and convenient tools for general every day Java coding and development. To fill the gap our company offers Productivity! — a genuine and rich set of tools intended to greatly simplify routine coding and navigation operations. Usage of Productivity! allows a significant increase of development productivity and the decreasing of coding time up to 50%. Try Productivity! to add unleashed power to your JBuilder environment! Components! is a robust collection of sophisticated components for JFC/Swing. Essential for creating modern powerful and polished Java GUI application. 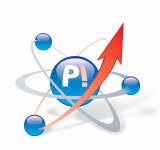 Deliver your application GUI development on time and at less cost. Designed with Developer Needs in mind. Over the last several years millions of developers have embraced Java as their primary or secondary language. Wealth of available Java IDEs, utilization of Java in the development of Server-based, Desktop, Web and Mobile applications is a clear indication that Java is hear to stay. Java’s strong support for the component-based development created a growing market of developers that come to rely on the component-based development approach. Utilization of JavaBeans components introduced rapid development of feature reach GUI interfaces and development cost efficiency.